The Manchester born centre-forward started his career locally with New Mills before moving to top-flight Burnley in 1925 for a two-year spell. Finding chances at the highest level limited, Richards played just nine times in that spell but still scored eight goals. 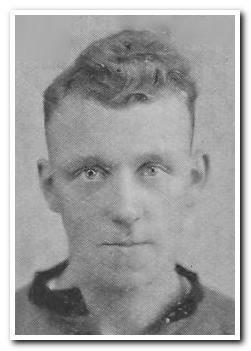 A move to Home Park followed in 1927 and he continued his impressive scoring record, finishing with a perfect one in two ratio spread across three seasons - 15 goals in 30 games - including a hat-trick in ten minutes against Torquay Utd in March 1928. With his first team opportunities impacted by the development of teenager Ray Bowden, it's a surprise that his credible scoring record did not attract interest from other League clubs; instead he left Home Park for non-league football with Tunbridge Wells Rangers and Folkestone.